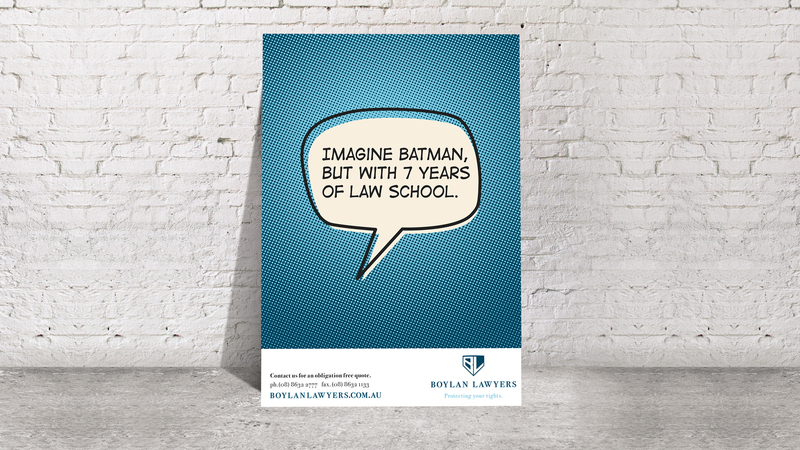 We like Superman and Catwoman, so do Boylan Lawyers. 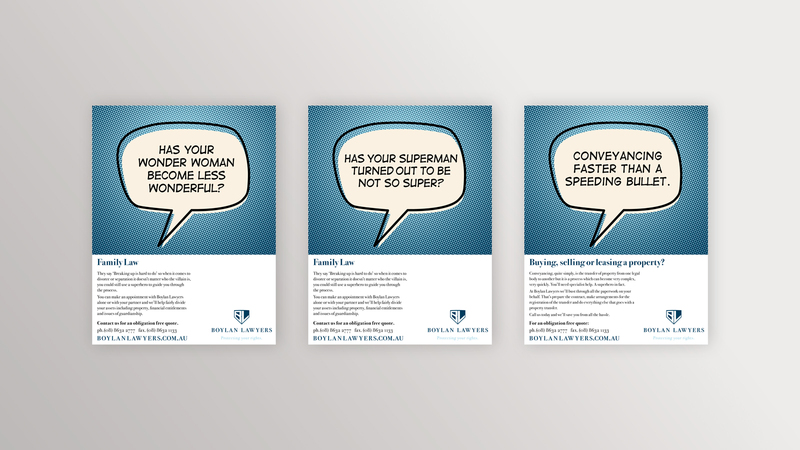 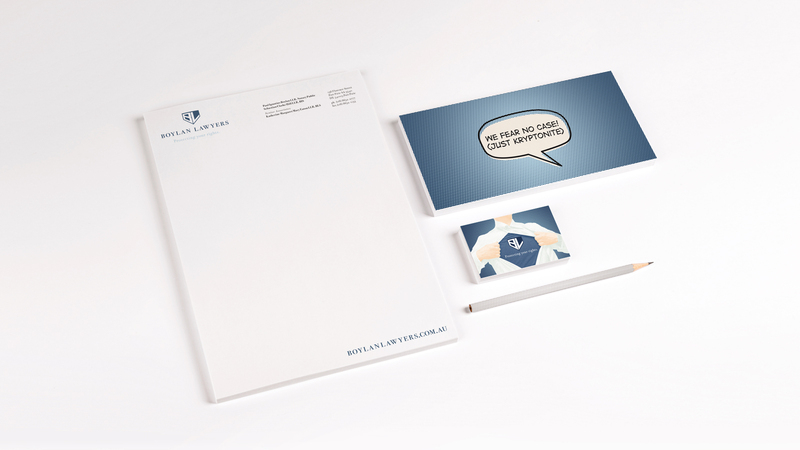 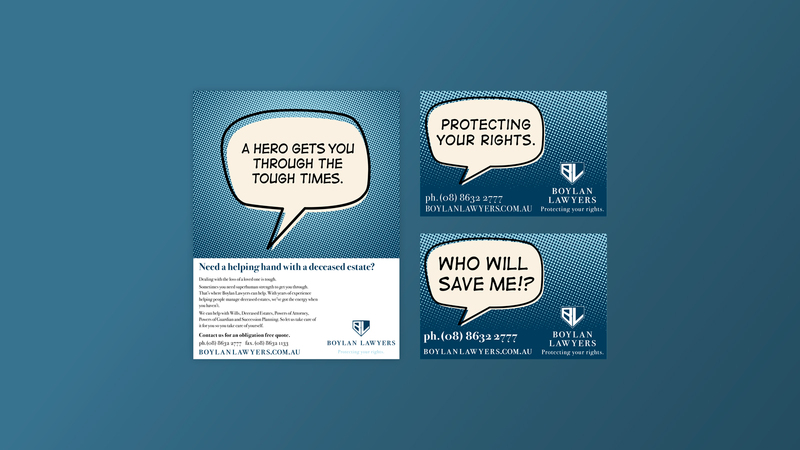 When people see our work for Boylan Lawyers, the unanimous response is surprise, quickly followed by delight. 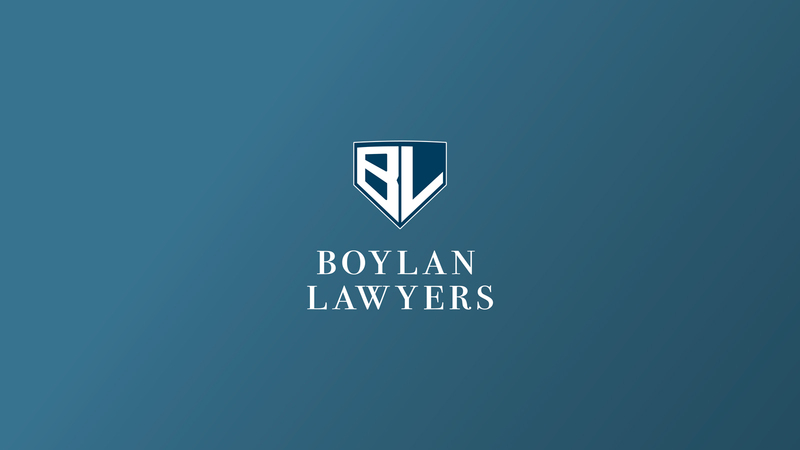 In what is traditionally a conservative category, Port Pirie based Boylan Lawyers don’t look like a country law firm, in fact they don’t look like a law firm from anywhere.